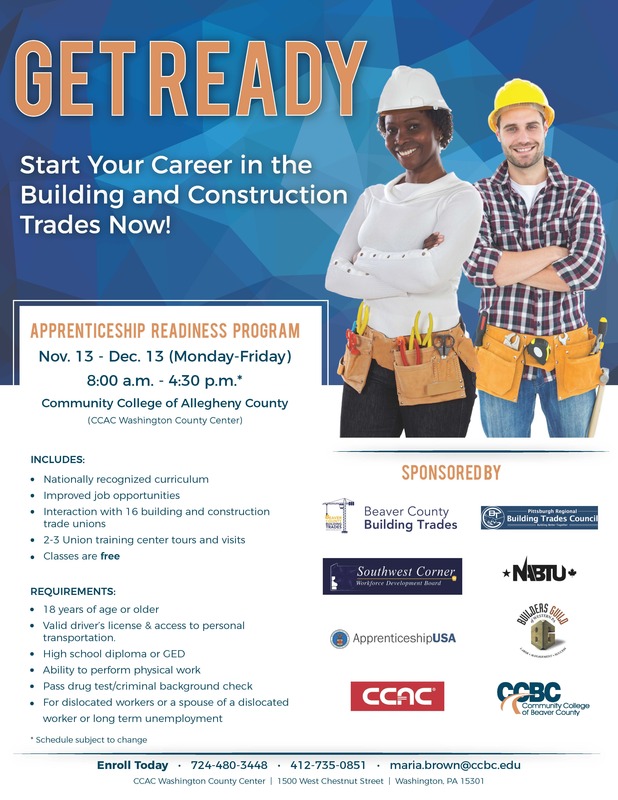 Interested in a career in the Building Trades? Want to get a head-start on acceptance into one of 16 local trade unions? This program is for you and available at no cost! Visit your local PA CareerLink office – ask for ARP application or call 724-728-4860.